Ron Wells' longstanding plan to turn the Ridpath Hotel into an apartment complex isn't out of the woods yet. UPDATE: According to city Chief Financial Officer Gavin Cooley, at this morning's hearing, the lien from Crystal City LLC against Ron Wells' Ridpath Penthouse LLC was dismissed as a "frivolous interruption," and a $5,000 fine was imposed. A little more than a week after the Spokane City Council voted to extend $1.75 million in credit to developer Ron Wells to turn downtown's old Ridpath Hotel into affordable housing, the troubled project was hit by another blow: On May 2, a lien was filed against Ridpath Penthouse LLC, the company owned by Wells. The lien claimed that Crystal City LLC had, in the span of seven days, conducted work on the Ridpath project that also happened to total exactly $1.75 million. The fact that the lien was for the exact same amount as the loan extended by the city seemed particularly weird to Gavin Cooley, Chief Financial Officer for the city of Spokane. "It seems like a really strange coincidence. I have not been able to come with a rational basis for this being tied to the city’s participation in this transaction,” Cooley says. “It has all the hallmarks of someone sticking a wrench in the spokes of the wheel to try to stop the transaction." There's a general rule when it comes to the reporting on the Ridpath Hotel: There's always another problem around the corner. In January of last year, we catalogued all the times that the Spokesman-Review or the Inlander thought the Ridpath ownership mess was this close to finally getting fixed, only to see the plan collapse, run into a massive roadblock or get tangled up in court. The lien had been filed by Crystal City LLC, run by a guy named Ivan Kriger, who'd long been an obstacle to Wells' dreams for the Ridpath. Crystal City was working with Stephen Antonietti, the developer who'd been keeping the Ridpath project alive when it was left in shambles by now-imprisoned con artist Greg Jeffreys. Their plan: Revive the thing as a hotel. Kriger had initially outbid Wells for the property, only to continue to fail to close the deal. The property was put back on the market, and Wells turned to the city of Spokane to help with their financing. "I've talked to Mr. Kriger in the past. He wants to develop the Ridpath," says Jonathan Mallahan, the city of Spokane's ‎Community and Neighborhood Services Division Director. "He knows that if he was to bring a proposal forward for affordable housing redevelopment, we'd be open to talking about a loan with anyone who [can successfully do that.] The reality is Ron Wells' plan does that, and he's looking forward to that." Kriger's lien is yet another complication. Sean Boutz and Jim Topliff, attorneys representing the Ridpath, quickly filed a response demanding that Kriger back up his claim, and arguing that the court should deem the filing frivolous. The filing characterizes the lien as "nothing more than an attempt to either delay the purchase and sale closing, or terminate the deal altogether so that [Crystal City] can make another run at purchasing the property." Crystal City has never done any work on Wells' Ridpath project, and never entered into any contracts with Wells to do work on the Ridpath project. 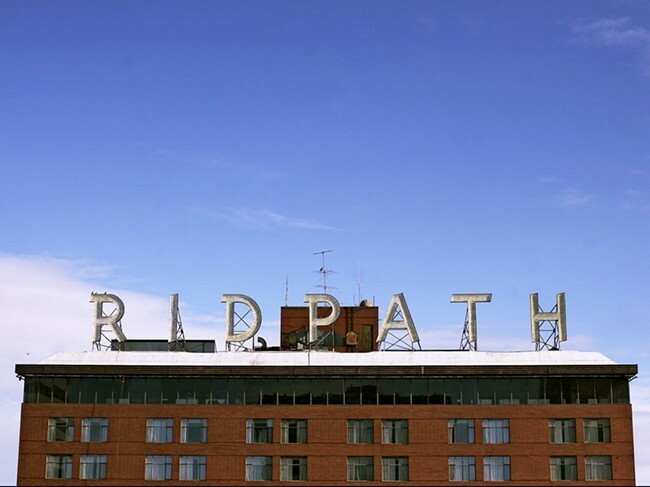 Saying that Wells' company owes Crystal City $1.75 million for only seven days of work on the Ridpath is "absolutely ridiculous," especially because Wells' company doesn't even own the property yet. "The Court should not accept such deliberate and frivolous actions," the filing argues. The hearing over the lien will occur tomorrow morning. Cooley says that, to his understanding, there was also a challenge against the lien filed by the property owner in Las Vegas. "As far as we know, we are not aware of any valid basis for that lien," Cooley says. "Everything I’ve heard is that there is no basis for this lien." Neither Wells nor Kriger could not immediately be reached by the Inlander on Thursday. Mallahan says the lien hasn't shaken the city's faith in the project. "We are working with the other funders and are still committed to the project. There will be a hearing this Friday where we expect a judge to rule on the validity of the lien," he said in an email. "This is a setback and a delay; however, I don’t think it will result in any further disruption of the project." City Council President Ben Stuckart, reached by text message Monday, said he felt the lien was "a claim with no basis in fact." Mallahan is fairly confident that Wells' plan would still work out. "It's a delay. The judge will rule on whether or not the lien is founded, and it will potentially be declared a frivolous lien. We get back to how can we get this project to closing and we move forward." he says. "I think this is a speed bump. I don't think this will cause the project not to happen. But I won't say that unequivocally." Developers have big ideas for the Ridpath Hotel, but can they pull it off?